Bagpipes can make a pleasant addition to your special day. 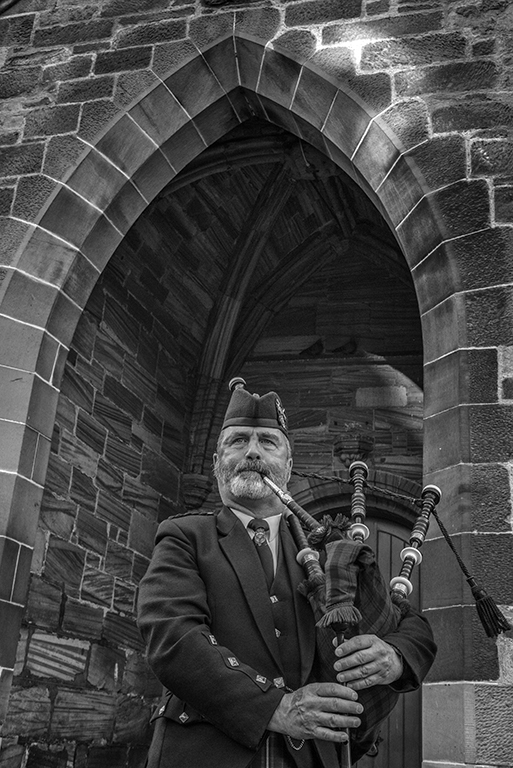 Pipers have been entertaining at weddings for centuries. Your guests will be enthralled when they hear the sound that has touched so many in the past (and you don’t even have to be Scottish!). Your piper will be smartly and appropriately dressed in the kilt and Argyll jacket – the dress favoured these days by most competing pipers and pipe bands – and will be happy to play any tunes of your choosing by prior arrangement. All of the above suggestions are included in our Standard Wedding Package, giving you the option to select when and where you require your piper to play throughout your big day.